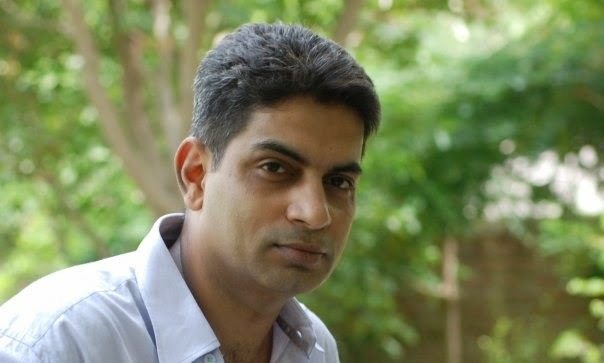 THE WRITING BUDDHA - Opinions | Books | Movies: Manish Kumar: "I survived many near-fatal accidents" (Interview) !!! Manish Kumar: "I survived many near-fatal accidents" (Interview) !!! Manish Kumar has been a Combat Pilot with the Indian Air Force where he was awarded the Chief of Air Staff Commendation for devotion to duty. He has years of experience as a Leader and thousands of hours as a helicopter pilot, preferring to fly rescue missions where his intuition not only helped him locate and save pilots and survivors but also averted near fatal crashes, saving men and aircraft. These incidents made him look for the greater meaning of life. Let's see what he tells us more about himself in this interview. 1. Hello sir, how has been your experience as an author since you have released your first book? The experience has been very rewarding. Writing a book is like delivering a baby. The first time when you hold the book it feels you have held your newborn and then you see it crawling and walking on its legs. More than that the respect and authority you enjoy an author is enormous. 2. 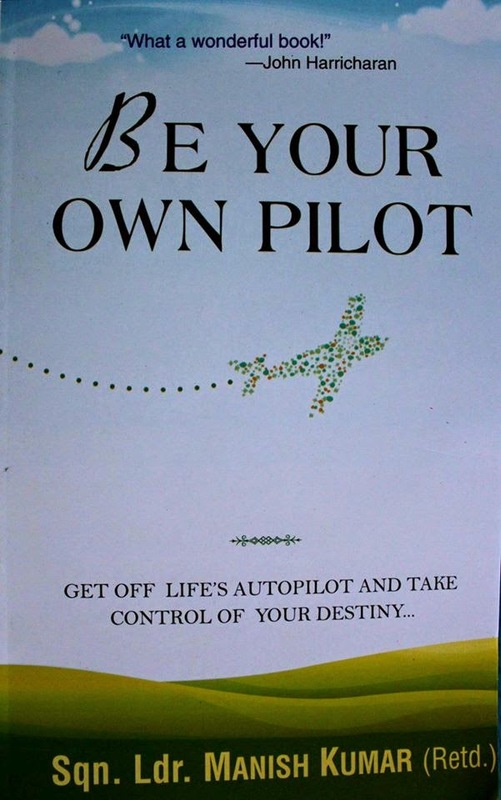 Tell us something about your latest- “Be Your Own Pilot” to our readers. The book is the story of a small-town boy who has not seen a plane on the ground or even the inside of an airport but he dreams of becoming a pilot. He surmounts various difficulties and obstacles to achieve his dream. He not only goes on to become a pilot but motivates others to follow their dreams. The book shows that once we realize the unlimited power and potential dormant in our souls, we leave the mundane life. We take the reins of life from the autopilot called fate into our hands and guide it the way we wish. Also, it is possible for us to live a rich and deeply satisfying life when we align our goals with the universal good. 3. How did you plan to write a book of this kind by relating the events with a fresher learning to fly plane? The time when I was learning to fly a plane was the most crucial period of my life. In Air Force if you do not learn to fly a plane in 13 hours of flying you are grounded. It means, you can never fly a plane in Air Force again. I was lucky to have instructors who not only taught me flying but embedded the lessons of life which has served me till date. I intended to write the book for all freshers because that is the time when they face maximum apposition and tend to give up. The book shows how to keep your dreams alive even when all your hopes are crumbling down. 4. How has your tenure in Indian Air Force helped you in building the plot of this book? During my tenure in the Indian Air Force I survived many near-fatal accidents. I and my crew were lucky to come alive out of these situations. These incidents made me delve deep into the meaning and purpose of life. I realized that my Life’s purpose was to show people way to live a meaningful and purposeful life. Hence, I wrote the book. 5. Tell us about your venture- I Inspire. What is it about? “i Inspire” is the motto of my company “Inspire Human Potential Development Pvt Ltd” which aims to “Exceed Your Potential.” We conduct motivational lectures, Life-style management workshops and Outdoor Trainings. We have various camps where we conduct Rock Climbing, Trekking, White-water rafting, Para gliding along with Leadership capsules. We also plan to open Centres of Inspired Living and create Life Coaches. 6. What are you thinking to write next? I am in between two books. “Souls: United at Last” is a true story about two people who remember their previous births and meet in this birth after being separated for almost 40 years. The second book “ The Fall Guy” has taken characters of Mahabharta and Ramayana and fitted them in modern context. 7. Don’t you believe that your book deserved better publisher and better coverage? I have got a good publisher. At least, I have one after my manuscript got rejected from the so called better publisher. As far as the coverage is concerned I have always believed in word of mouth publicity. The good thing about the book is most of my readers after reading the book, buy 5-10 copies to gift it to their friends and loved ones. A Director of a school bought 300 copies for his school. Another Chief IT Officer of a US based company gifted 70 copies to his team. I have taken a vow that I will not spend any money on PR or Ads and let the merit of the book speak for itself. 8. Are we going to see a sequel to BE YOUR OWN PILOT with Arnab as main protagonist? There will be sequel for sure with Arnab as protagonist. I am waiting for the book to gain a self-sustaining momentum when I can shift my focus from promoting the book to writing the new ones. If all goes well we may have a movie on BE YOUR OWN PILOT next year. 9. Any word for the readers who have picked up BE YOUR OWN PILOT? First of all a big thank you. Choosing my book shows that you want to achieve something in life. Read the book carefully a few times. There are lot of secrets and hidden gems in there, as the book is the crux of 20 years of my research on how to be successful. Practice IVR regularly and you will find all your dreams coming true. And when you are successful, share your knowledge with others and inspire them to be successful.